The automotive repair specialists and experts at Premier Automotive Services have been serving the people who live and work in the Urbandale area since 2002. That's over a decade of quality service that you can rely on when it comes time for routine vehicle maintenance or major mechanical repairs for all vehicle makes in Des Moines. When we opened our doors in 2002, we comittied to providing the highest level of service available to our clients. Our technicians believe that the highest level of service includes working on all makes and models of vehicles. In addition, we know that there is nothing worse than taking your car, truck or SUV into a repair shop only to be told that you have to wait for the shop to order a part they don't have in stock. When you choose Premier Automotive Service, you are choosing a NAPA Auto Care Facility. This means that you are taking your vehicle to an auto repair shop that is fully stocked with all of the parts and tools we will need to get your vehicle running properly and back on the road. Moreover, part of providing the highest standard of care for our clients and their vehicles includes technicians who maintain ASE Master Certifications. ASE Master Certifications require our technicians to periodically complete a series of independently written and administered exams as well as prove relevant work experience. When you choose ASE Master Certified mechanics, you are choosing some of the industry's most elite members. 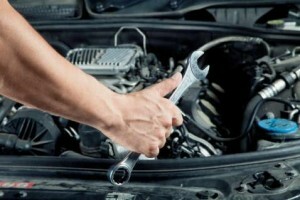 What's the best way to keep your car running and avoid costly breakdowns and repairs? The answer is simple - schedule regular preventative maintenance with one of our professional mechanics. Completing routine maintenance on your vehicle helps it stay running more efficiently, reducing wear and tear and increasing the lifespan of your vehicle's mechanical parts. There is no vehicle that we can't help you maintain or repair. Whatever you drive, you can rely on the experience and expertise of the highly trained mechanics from Premier Automotive Service for car repair in Des Moines. The following is a short list of some of the makes we commonly service. Come visit us today to learn more about the vehicle makes we repair in Des Moines. We look forward to serving you.